Johns Hopkins University School of Medicine, 1999. Peter Reese, MD, MSCE is a transplant nephrologist and epidemiologist. He cares for patients at the Hospital of the University of Pennsylvania and the Philadelphia Veterans Affairs Medical Center. His research focuses on: a) developing effective strategies to increase access to kidney transplantation, b) improving the process of selecting and caring for live kidney donors, c) determining outcomes of health policies on vulnerable populations with renal disease, including the elderly, and d) testing strategies to improve important health behaviors such as medication adherence. He directs Penn’s Center for Quality, Analytics and Research in Transplantation (PQART). He also chairs the Ethics Committee for the United Network for Organ Sharing (UNOS), which oversees organ allocation and transplant regulation in the United States. In recognition of his contributions to transplant research, he received a Presidential Early Career Award for Scientists and Engineers (PECASE) in July 2012. The PECASE "recognizes and supports scientists and engineers who show exceptional promise for leadership at the frontiers of scientific knowledge." 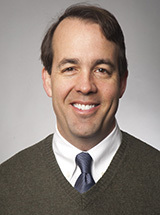 In the transplant field, Dr. Reese has written specifically about the ethical implications of accepting live kidney donors with risk factors for kidney disease, live donor outcomes, the effects of organ allocation policy on vulnerable subgroups including children and the elderly, and better strategies to promote the careful use of higher-risk organs (e.g., “medically complex donors”). Dr. Reese’s mission encompasses energetic support of talented and motivated young researchers at all stages of training. This Lab’s success reflects their creativity and efforts. Sawinski D, Forde KA, Lo Re V 3rd, Goldberg DS, Cohen JB1, Locke JE, Bloom RD, Brensinger C, Weldon J, Shults J, Reese PP: Mortality and Kidney Transplantation Outcomes Among Hepatitis C Virus-Seropositive Maintenance Dialysis Patients: A Retrospective Cohort Study. American Journal of Kidney Disease January 2019 (epub ahead of print). Hanson CS, Sautenet B, Craig JC, Chapman JR, Knoll G, Reese PP, Tong A: Informative for Decision-making? The Spectrum and Consistency of Outcomes Following Living Kidney Donation Reported in Trials and Observational Studies. Transplantion 103(2): 284-290, October 2019. Schröppel B,Heeger PS, Thiessen-Philbrook H, Hall IE, Doshi MD, Weng FL, Reese PP, Parikh CR: Donor Urinary C5a Levels Independently Correlate With Posttransplant Delayed Graft Function. Transplantation 103(1): e29-e35, January 2019. Hall IE, Akalin E, Bromberg JS, Doshi MD, Greene T, Harhay MN, Jia Y, Mansour SG, Mohan S, Muthukumar T, Reese PP, Schröppel B, Singh P13 Thiessen-Philbrook HR, Weng FL14 Parikh CR: Deceased-donor acute kidney injury is not associated with kidney allograft failure. Kidney International 95(1): 199-209, January 2019. Goldberg D,Reese PP: Risks, benefits, and ethical questions associated with transplanting kidneys from hepatitis C virus-infected donors into hepatitis C virus-negative patients. Seminars in Dialysis November 2018 (epub ahead of print). Shelton BA, Berdahl G, Sawinski D, Linas BP, Reese PP, Mustian MN, Reed RD, MacLennan PA, Locke JE: Optimal timing of hepatitis C treatment among HIV/HCV coinfected ESRD patients: Pre- vs posttransplant. American Journal of Transplantation December 2018 (Epub ahead of Print). Cohen JB, Locke JE, Shelton B, Reed RD, Mustian M, MacLennan P, Forde KA, Reese PP, Sawinski D: Disparity in access to kidney allograft offers among transplant candidates with human immunodeficiency virus. Clinical Transplantation December 2018 (Epub ahead of Print). Mansour SG, Hall IE, Reese PP, Jia Y1, Thiessen-Philbrook H1, Moeckel G, Weng FL, Revelo MP, Khalighi MA, Trivedi A, Doshi MD, Schröppel B, Parikh CR: Reliability of deceased-donor procurement kidney biopsy images uploaded in United Network for Organ Sharing. Clinical Transplantation 32(12): e13441, December 2018. Reese PP1, Allen MB, Carney C, Leidy D, Levsky S, Pendse R, Mussell AS, Bermudez F, Keddem S, Thiessen C, Rodrigue JR, Emanuel EJ: Outcomes for individuals turned down for living kidney donation. Clinical Transplantation 32(12): e13408, December 2018. Sautenet B1, Tong A, Chapman JR, Warrens AN, Rosenbloom D, Wong G, Jill J, Budde K, Rostaing L, Marson L, Josephson MA, Reese PP, Pruett TL, Evangelidis N,Craig JC: Range and consistency of outcomes reported in randomized trials conducted in kidney transplant recipients: a systematic review. Transplantation 102(12): 2065-2071, December 2018.